Whether an organizations’ strategy involves implementing layoffs, delayed hiring, restructuring, growth, mergers, or partnerships, it is very important to provide value to your stakeholders. Providing value not only includes profits, successful products, and services, but also employee growth, development, satisfaction, and good stewardship. The way organizations treat their employees (including those who transition from one company to another) will influence your organizations branding and business operations more than you know. For example, in these current economic times, it may be worth it to retain your current recruiting, training and development, and employee recognition plans while also choosing to practice shared sacrifices (lower commissions, no bonus, or Cost of living adjustment increases) to survive. All aspects of human resource management (training, human resource planning, compensation, employee relations, job design, and career development) can help organizations create value and gain competitive advantages over their competition. With salaries remaining relatively the same and as organizations slowly begin to add jobs, what is human resource management and what value can great HRM practices bring to your organization?? How can companies create and sustain a competitive advantage over their competition? 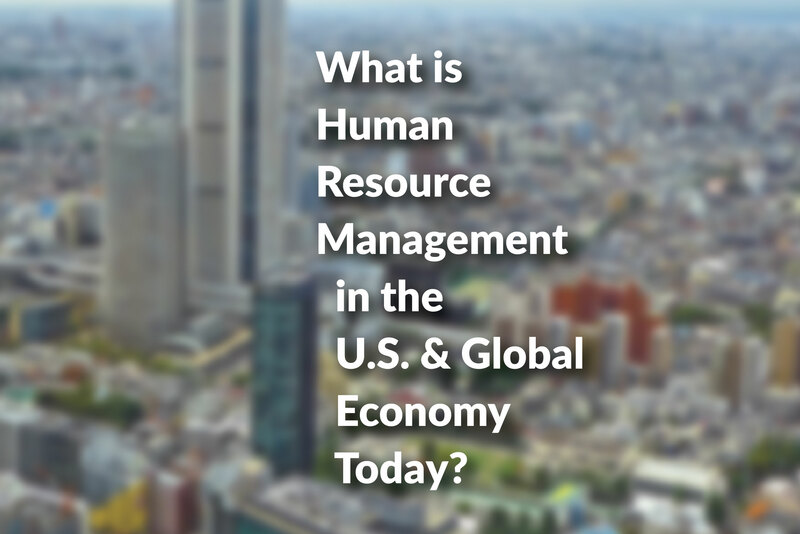 Human resource management refers to the utilization of a firm’s human resources to achieve organizational objectives. How are these objectives achieved? How are the dress codes defined? What are the norms of their organization? 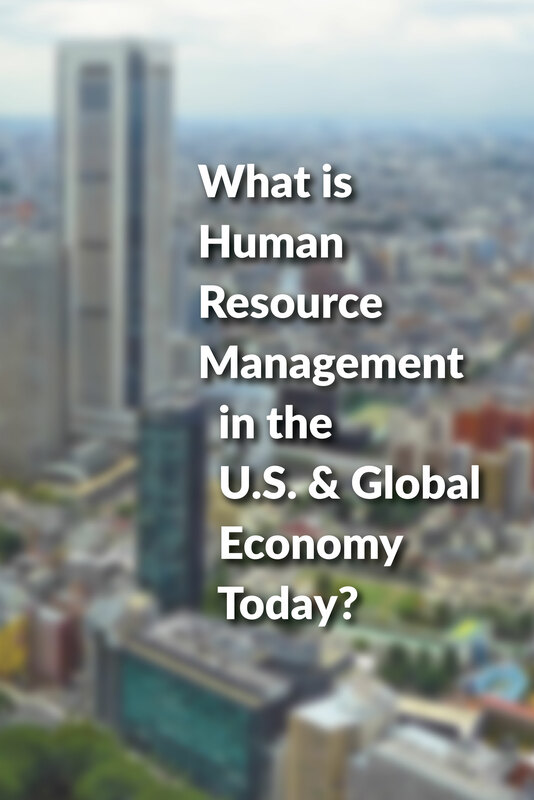 Human resource departments answer these questions through established policies, practices, and systems. These organizational norms are designed to guide the behavior, attitudes, and performance of an employee within an organization. The job of HR is to emphasize the important human resource management policies within their company. The strategy underlying these management practices needs to be carefully considered to maximize their value for an organization. 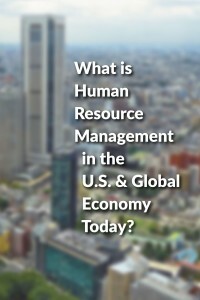 Human resource management involves analyzing and creating work, creating needs assessments to determine human resource concepts (HR planning), recruiting potential employees, hiring employees, education and job training, career advancement (development), rewarding employees (compensation), evaluating their job performance (performance management), and ensuring a great working environment and culture (employee relations). In today’s human resource management strategies, organizational departments must work collaboratively to keep things simple by utilizing your employee’s talents to achieve strategic goals. Managers at every level within your company must entrench themselves within the stated human resource management philosophy. Human Resources cannot always provide the training, development, coaching, and performance management of direct reports; managers do! Organizational leaders have to know the pulse and energy of their department, as well as that of their employees. Is an employee’s productivity slacking? Is there a personal issue that is troubling them? It is imperative for managers to be competent in these human resource practices. Knowing if your employees are engaged and all-in allows for synergy to flow between departments and is contagious, in a positive way throughout your organizations. Is it hard? No. By asking questions, talking with employees, and, most importantly, listening, managers and leaders should be able to tell (through verbal/non-verbal cues) how their employees feel. The war for talent (recruitment and selection) is the number one area in HR that senior management focuses on. They often challenge their human resource departments and hiring managers to get it right the first time. Not only do recruiters compete to attract and retain talent, they also have to accommodate a multi-generational workforce with varying needs. The varying age and talent pool is affecting all industries as organizations currently rely on retaining their senior employees (knowledge and skills), while blending Millenials into their organizations. Can this mix work? Yes, but human resource departments must recognize the different needs, motivating factors, and personalities of each generation to gain effective human resource outputs. 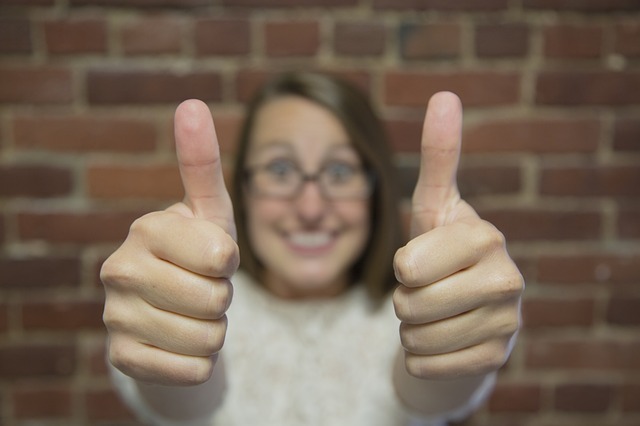 The results can have a positive or negative impact for an organizations human capital. Generation X and Millennials learned concepts differently and have different wants and needs from those of the Baby Boomer generation. Organizations must tailor their human resource practices (recruitment, compensation, career development, employee relations) to meet a variety of their talent’s needs. If not, organizations may see an increase in their resignation rates as employees slowly gain confidence in the labor market. The evolving role of human resource as a strategic partner, as opposed to a cost. Awareness of social responsibility, stewardship, and business ethics in human resource management. Understanding of job analysis, human resource planning, and recruitment/selection. Importance of Human Resource Development for all employees at all levels. Using an effective performance appraisal system that allows open dialogue and clear communication on both sides, ensuring managers are trained properly on the correct guidelines to administer appraisals (this can be a difficult task, for everyone no matter how much experience one has!). Understanding of the compensation program and how it can impact your human capital management. Thinking of employee safety and health factors as they affect your firm’s profitability (medical claims, workers compensation, OSHA). Engaging effective employee/labor relations ( culture, employee engagement, norms, policies, rules) to ensure appropriate behavior. Human resource management today has evolved from payroll and lead administration to engaging employees, career development, organizational culture, and strategic partner. Competent human resource professionals and sound principles are important to guide organizations and management through these rough business waters. Happy sailing!